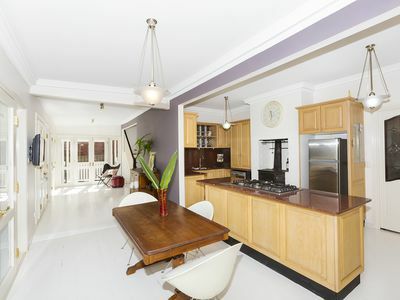 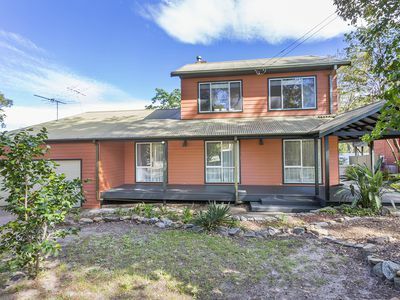 Originally built in 1915, this cottage has undergone a major transformation resulting in a generous tri-level home with all the modern conveniences, while maintaining that federation era charm both inside and out, through features such as elevated ceilings with ornate cornices, and a large wrap-around veranda. 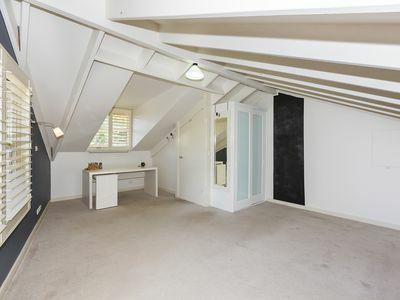 Set on a level 1,068m2 (approx.) 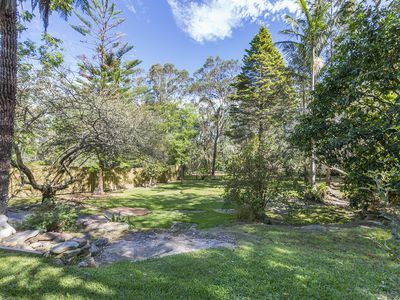 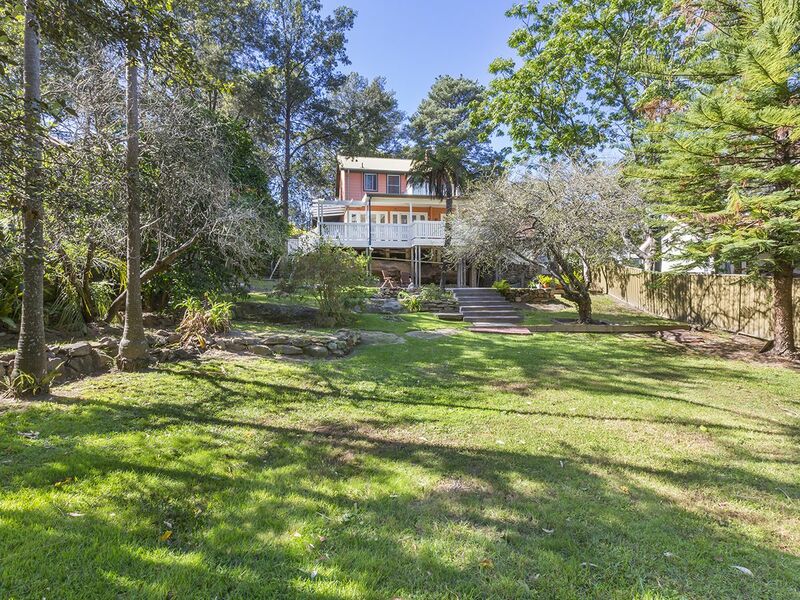 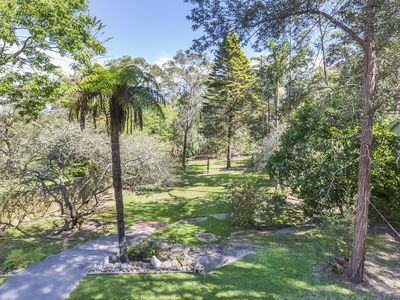 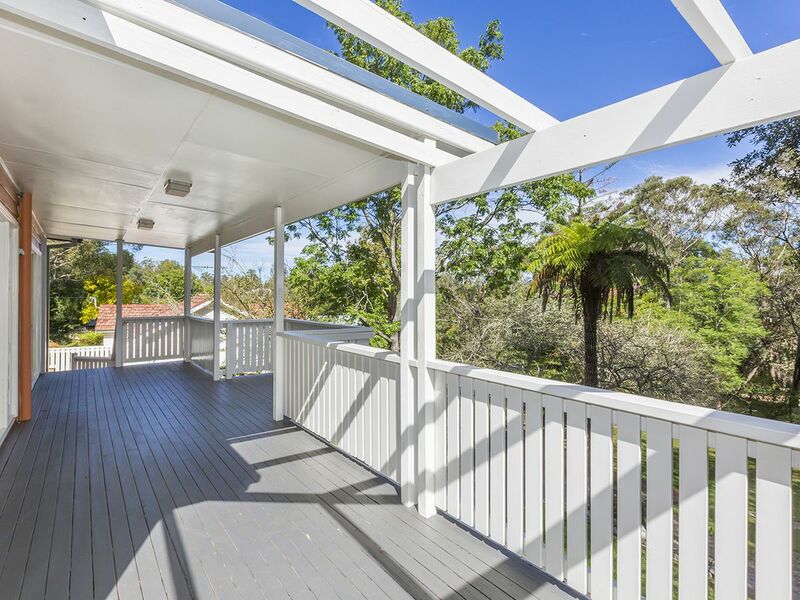 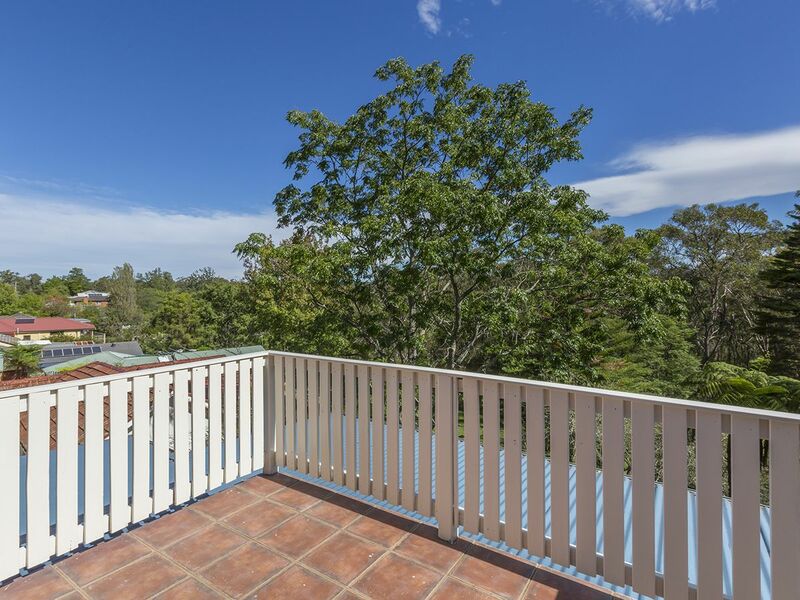 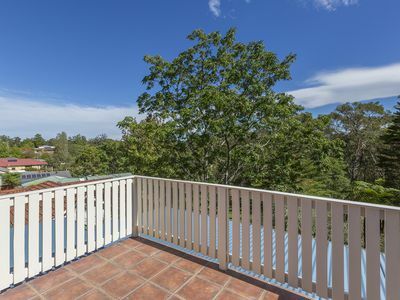 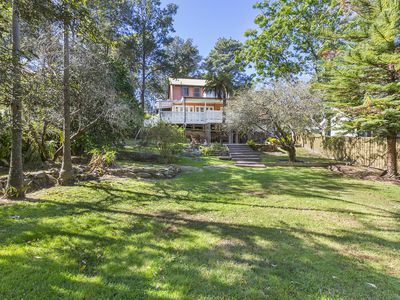 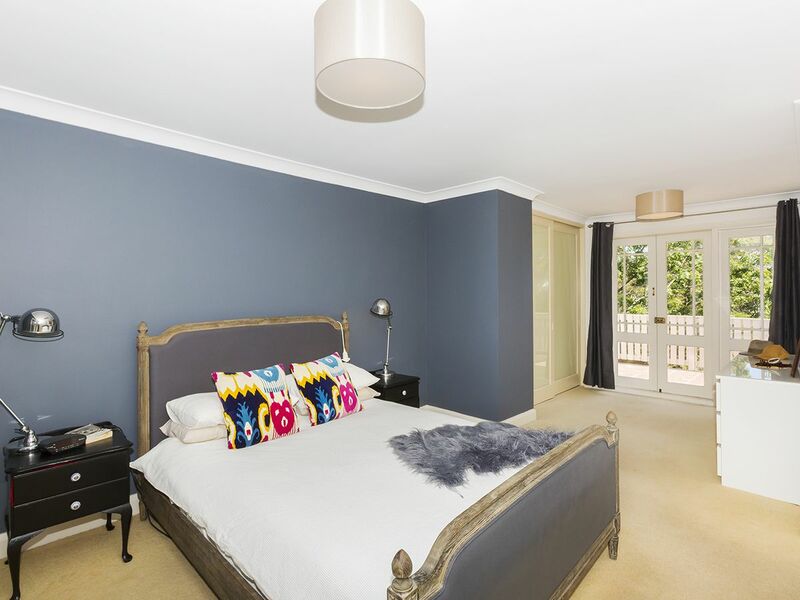 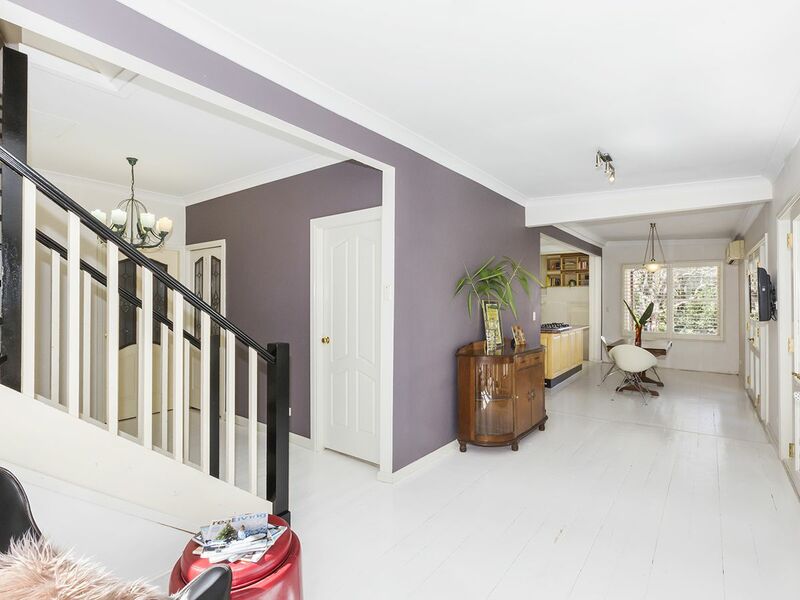 block backing on to private bushland, right across from the bus stop, close to a multitude of bushwalking tracks, and within walking distance to Springwood village, this property offers the best of Blue Mountains living. 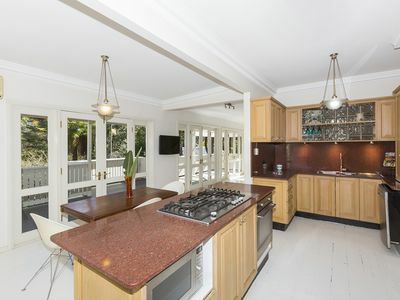 This home features a generous lounge with a cosy fireplace, and a modern galley-style kitchen with stainless steel appliances including a 5-burner gas cooktop and a dishwasher, stone benchtops, plenty of storage, and a charming antique stove. 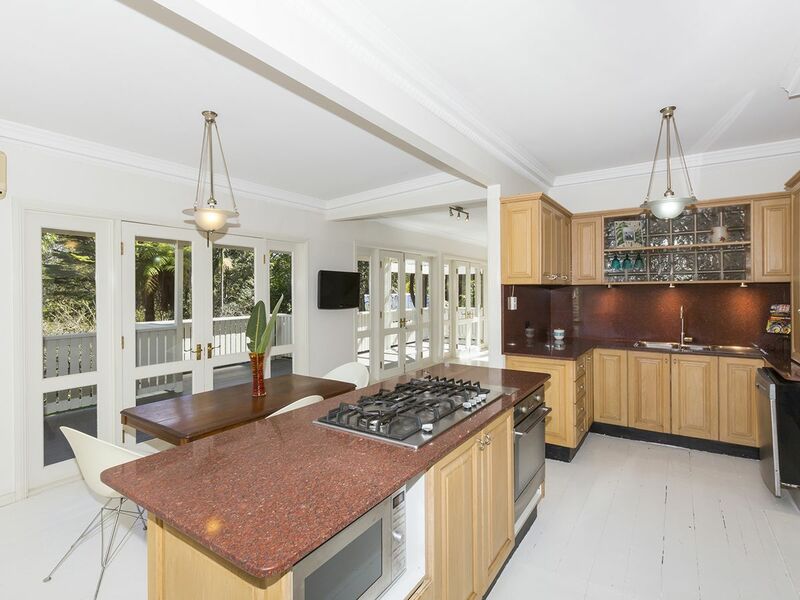 This overlooks the sprawling sun-soaked family/dining area which flows out to the spacious covered outdoor entertaining area through multiple sets of French doors. The four bedrooms are spread across the home for peace and privacy; one on the entrance floor perfect for a home office if desired, another loft-style bedroom with plenty of space and storage, and two on the top floor, both containing built-in wardrobes including the expansive master bedroom which offers its own private balcony. 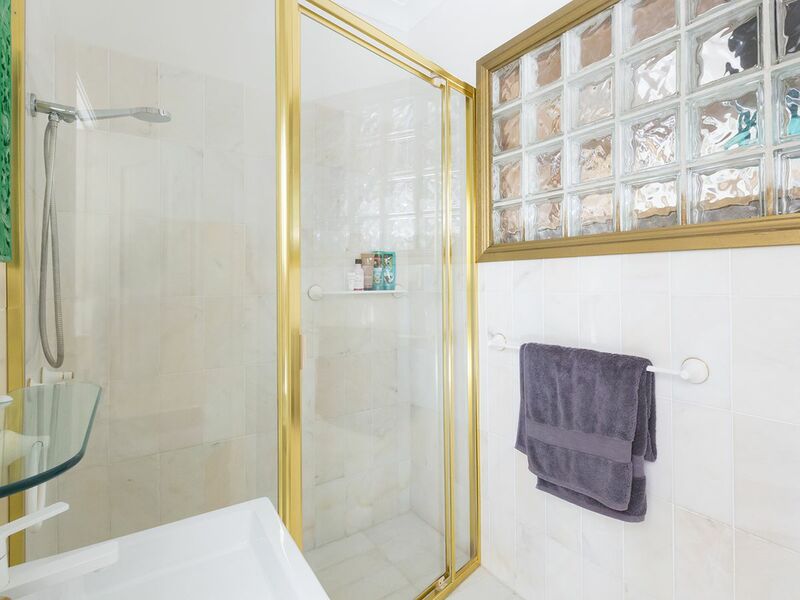 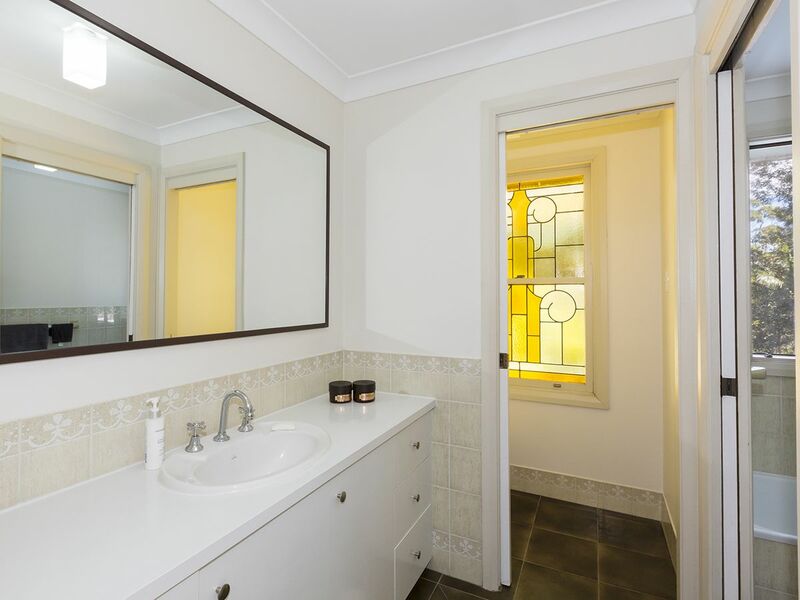 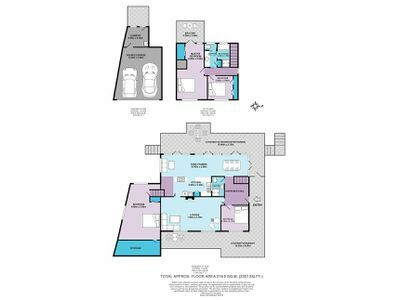 This property features two family bathrooms, one on each level. 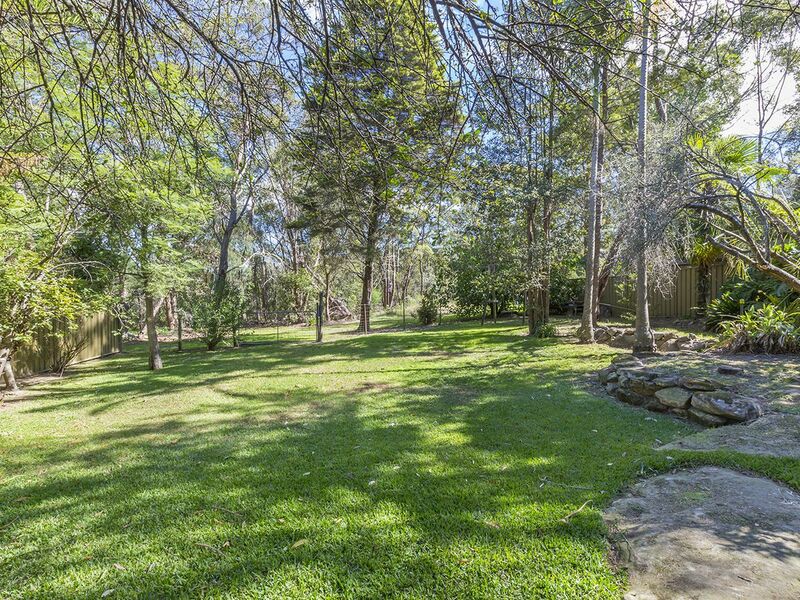 The backyard is fully fenced with a large level lawn area perfect for the kids and pets to run around. 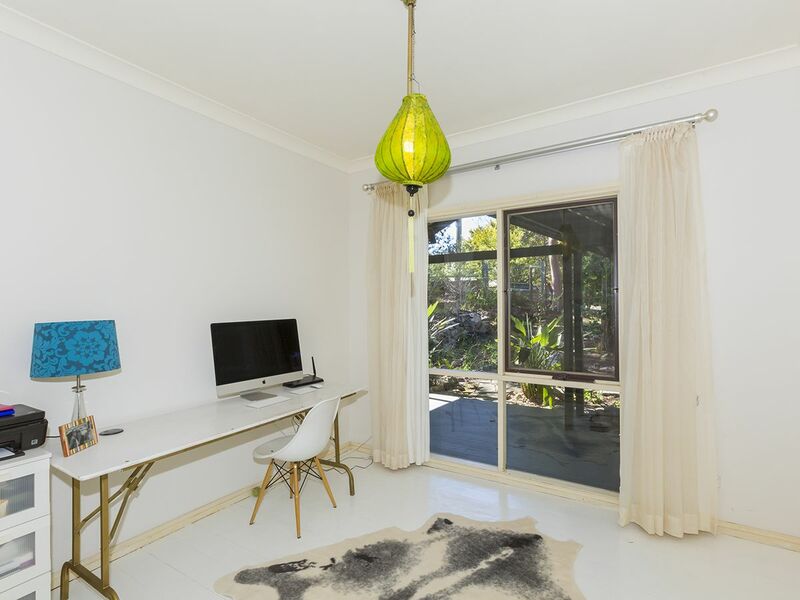 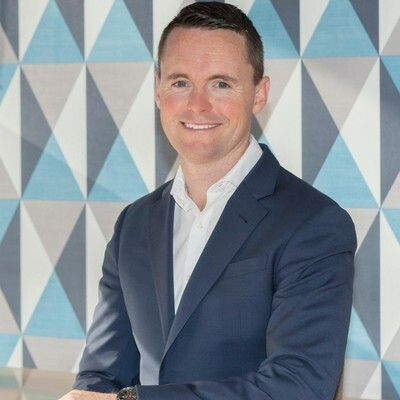 It features both native trees and fruit trees, with low maintenance gardens, a courtyard for additional outdoor entertaining space, and backs on to private picturesque bushland. 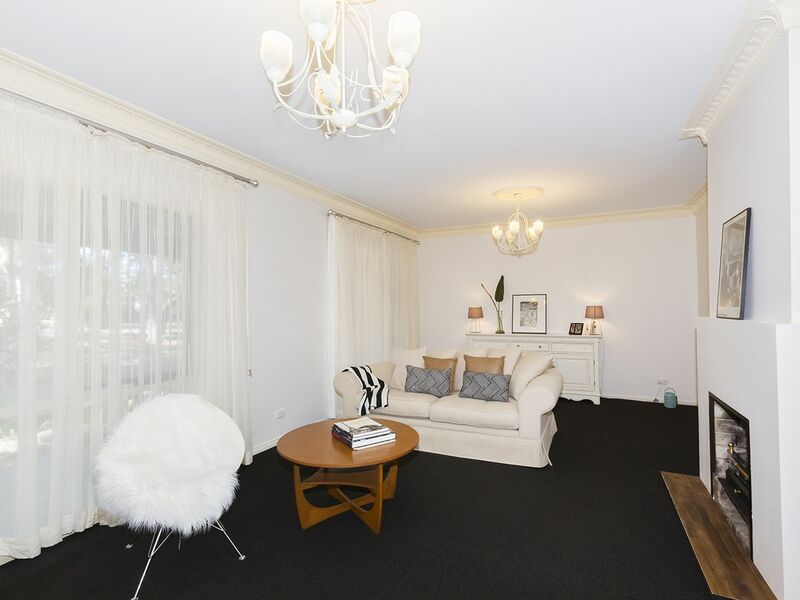 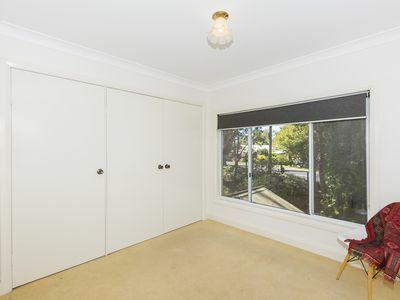 Additional features to note include: white hardwood timber floors; ample storage space; split system air conditioning; double garage; internal laundry with external access. Please contact Lister & Cole Estate Agents for further details on this unique and enchanting property, located in one of the most sought-after areas in Springwood.